Peter Hall’s seminal Cities of Tomorrow remains an unrivalled account of the history of planning in theory and practice, as well as of the social and economic problems and opportunities that gave rise to it. 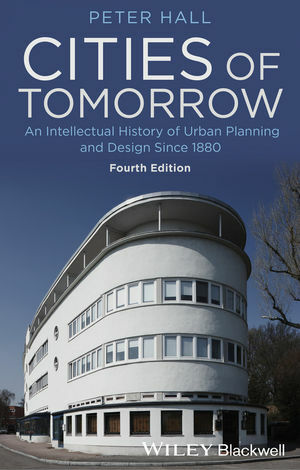 Now comprehensively revised, the fourth edition offers a perceptive, critical, and global history of urban planning and design throughout the twentieth-century and beyond. Peter Hall is Professor of Planning at the Bartlett School of Planning at University College London. He is the author of nearly 30 books in planning and related subjects, including London 2000 (1963), The World Cities, third edition (1984), High Tech America (with Ann Markusen & Amy Glasmeier, 1986), Great Planning Disasters (1992), and Cities in Civilization (1999). He has been credited with the invention of the Enterprise Zone concept, which has been widely employed in the USA and Europe. An advisor to governments and international agencies across the globe, Professor Hall is known throughout the world for his contribution both to the theory and to the practice of city and regional planning.